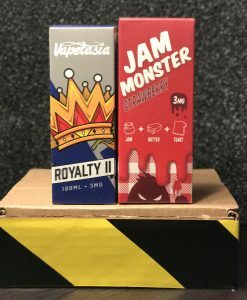 Looking for a ejuice that is stimulated by larger that life flavors and big building sized art! Rockt Punch only goal is to make a legitmate mark in the vaping community. When it comes to flavor and image, size matters! The champion of all ejuices comes well designed and packaged in 120ml bottles. 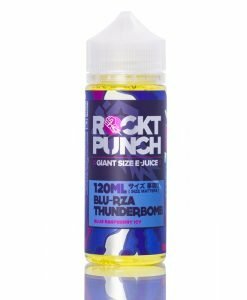 Blue RZA Thunderbomb – An invigorating blue raspberry frigid slush, blue RZA will make sure to detonate each drop with colossal flavor. Come in the superb icy blue thunder bomb! A raspberry slushy flavor explosion of goodness packed into 120ML of Rockt Punch awesomeness. 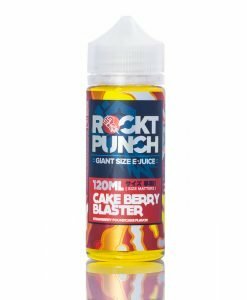 Cake Berry Blaster – Impact your taste buds with a ROCKT punch strawberry pound cake e-juice mix. Basically, an extraordinary method to rediscover and marvelousness in vaping an impact of strawberry pound cake! Island Ice Cannon – Wait till you experience this! With an assortment of island products of the soil sprinkle of citrus, launching this blend with frigid menthol. 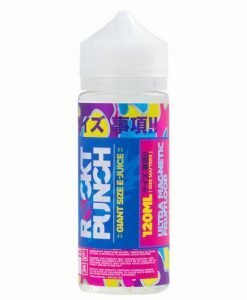 You will love this enormous serving of ROCKT punch vape control! 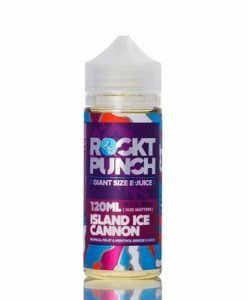 Island Ice Cannon is a dash of citrus, oranges, and island fruits with a combination of menthol. 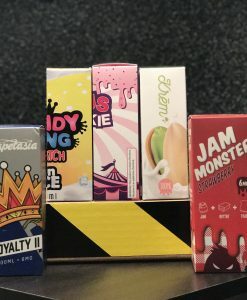 Melon Milk Crusher – An absolute necessity attempt e-juice that changes southeast Asian honeydew with mitigating condensed milk flavor into the preeminent taste. 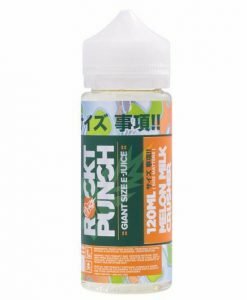 One of the best flavors by Rockt Punch 120ml E-Juice. Ultra Magnetic Fruit Loop – Not your run of the mill milk and cereal e-liquid. Ultra-magnetic fruit loop is a super blend of astounding crunch-tacular fruit loop cereal, berry impacting, and a smooth milk assault on your taste buds! Who said milk and cereal was just for breakfast? Avalanche Apple Slam – This juice brings a freshly-baked apple pie with buttery home-baked pie shell and hot apples for an outstanding and sweet flavor. Perfect for the everyday vape for anyone who loves apple pie eliquid.